Watford’s state-of-the-art Harwoods Adventurous Playground will open to the sound of a steel band at our big bash, 1- 4pm, Sunday 18 June. The fun afternoon includes a barbecue and Apex Sports inflatable play activities. Demonstrations will also take place nearby at the Harwoods outdoor gym. The new playground has been funded as part of Watford Borough Council’s £1.4m investment in contemporary state-of the-the-art adventurous playgrounds at Harebreaks and Harwoods recreation grounds. The exciting Harwoods Adventurous Playground will contain a double zip wire, play tower with mid-air tunnel, slide and climbing wall. The tower – accessed via a wibbly wobbly bridge – will have special panels to reflect light in different colours. Other equipment will generate music and sounds to create a sensory experience that all young people can enjoy. The playground has been fully assessed by Plan Inclusive Play (PiPA) to ensure it can be enjoyed by children of all abilities. Harebreaks Adventurous Playground opened in February and also has a new tower, climbing wall, mid-air netted area and slides. Alisha Thorpe, aged 10, said: "I think it's amazing and I love the curly slide especially. It goes around and around and it's really fast." 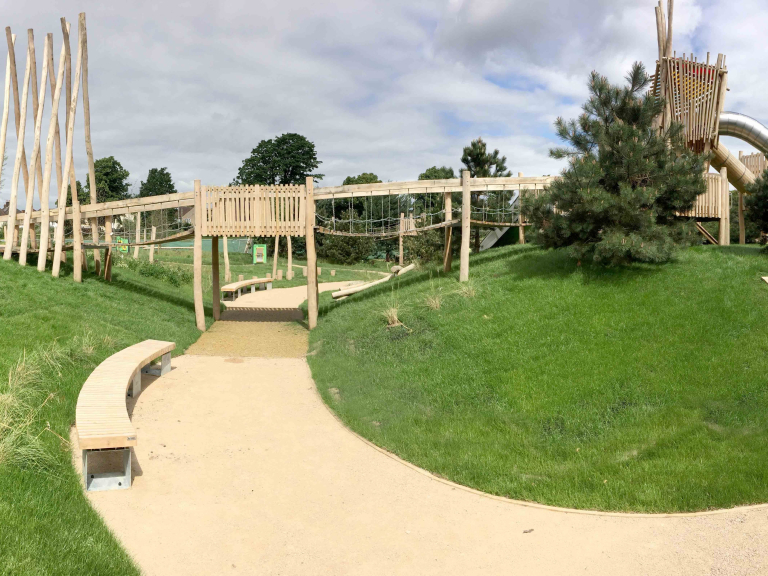 Watford Borough Council’s Portfolio Holder for Community Cllr Karen Collett and Portfolio Holder for Client Services Cllr Peter Taylor will attend Harwoods Adventurous Playground’s opening on Sunday.